The medical term is cervical radiculopathy, but most people know it as a pinched nerve. A pinched nerve occurs when there's too much pressure being applied by surrounding tissue to a nerve in the body. Muscles, tendons, bones, and cartilage can be the cause of such undue pressure on nerves, and the result is a disruption of nerve function. Many people throughout the country are suffering from the symptoms of pinched nerves at any given moment. Some of the most common symptoms that can accompany a pinched nerve include burning or aching pain, numbness, tingling, and weakness. Contrary to what some may believe, a pinched nerve doesn't necessarily only happen to nerves of the spine. In fact, a pinched nerve can occur in several areas of the body that contain nerves. If you're someone who's experiencing the pain or other associated symptoms of a pinched nerve, following is information on the most common treatments of this condition. It's important with a pinched nerve to know when to seek medical attention. If you've been experiencing any of the above symptoms persistently or recurrently for several days, or if your symptoms do not respond to conservative measures, you should seek medical attention. Some of the most common treatments for a pinched nerve in Northern NJ include physical therapy, medications, steroid injections, and, in severe cases, surgery. 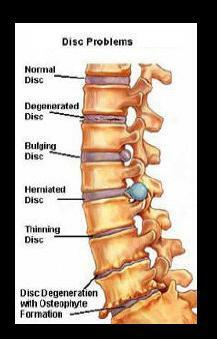 Physical therapy is often one of the first methods involved in a conservative course of treatment for a pinched nerve. During physical therapy, a list of exercises will be devised in order to aid the relief of a pinched nerve, including stretching and mild motion that helps to strengthen the muscles in the affected area as well as to increase flexibility and relieve pain. Modifications of these exercises typically are made as treatment progresses. Pain medications, especially over-the-counter drugs, often will be included in a course of conservative treatment. These include NSAIDs, which are non-steroidal anti-inflammatory drugs such as ibuprofen (brand names Advil, Motrin, and others). Another of the over-the-counter medications that may be added is naproxen (brand name Aleve) to relieve pain as well as inflammation surrounding the nerve. If pain still does not relent, steroid injections may be given to reduce pain as well as inflammation. These typically require administration every several months or so, and sometimes need to be given on an ongoing basis. In less frequent cases where conservative treatments do not alleviate pain and other associated symptoms, a spinal surgeon may recommend surgery for a pinched nerve. If the pain of a pinched nerve lasts for several weeks or even months following conservative treatments, a surgical procedure to remove damaged portions of a herniated disk or for severing the carpal ligament of the wrist in carpal tunnel syndrome may be recommended. Surgery generally is only recommended as a last resort. A pinched nerve can happen in several areas of the body, and the symptoms that accompany it can cause pain, numbness, and tingling, to name just a few. Pinched nerves are a fairly common occurrence in Americans these days, especially as the population ages and more people are overweight than ever before. But pinched nerves have other causes, including repetitive motion, pregnancy, and heredity. If you're experiencing pain or other symptoms from a suspected pinched nerve, contact a spinal surgeon to schedule a consultation. Pinched nerves can be treated, so there's no reason to suffer from its symptoms unnecessarily.